drones, or unmanned aerial vehicles, are used without a human pilot aboard and are typically operated from automatic systems. international design and innovation office CRA-carlo ratti associati and leading road agency in italy, ANAS have designed a smart highway program featuring drones that are able to deliver first-aid support as well as sensing poles that can send useful information to both today’s drivers and tomorrow’s self-driving vehicles. the new infrastructure revolves around a series of ‘flying poles’, which incorporate multiple sensors and in-motion Wi-Fi connection services. 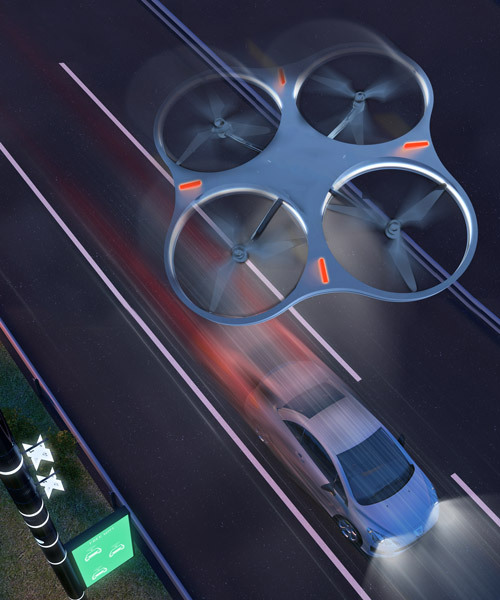 the drones can serve different purposes, mainly related to safety and maintenance – from guarding galleries, viaducts or other remote pieces of infrastructure, to bringing medicines or other first-aid equipment to drivers, to detect accidents, fires or floods happening close to the highway. 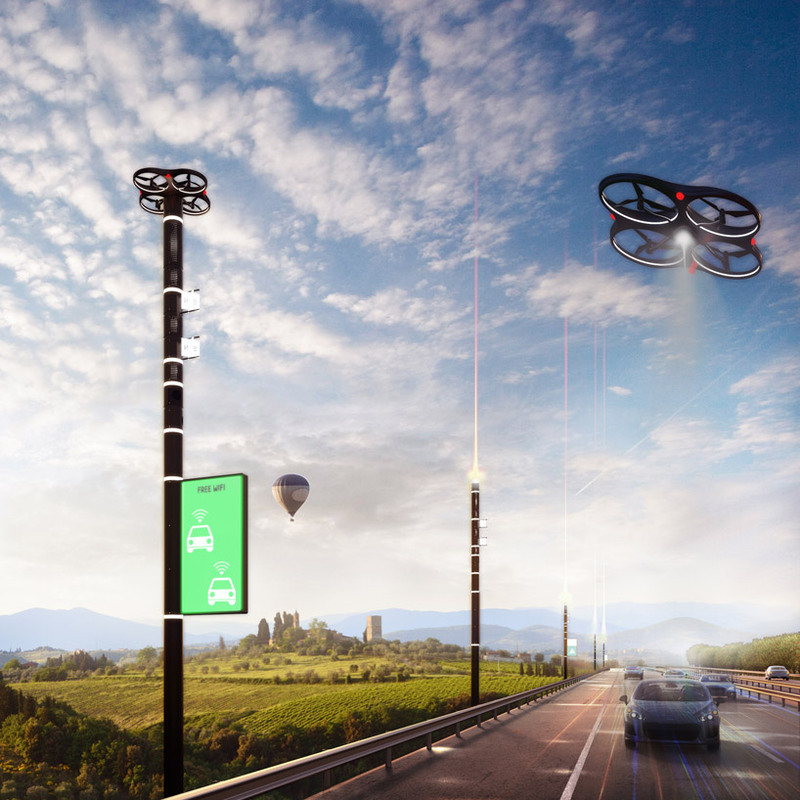 on the top of each pole there is a recharging station from which drones can take off and start monitoring the road. thanks to the data collected by the poles, the system can inform drivers in real time on the conditions of the road ahead. direct, customized messages can be sent to each driver’s mobile phone or to each vehicle’s on-board navigation system, which in turn can give their own feedback to the system. in late december 2017, ANAS launched a 30-million-euro call for proposals, aimed at contractors, to build the new smart road infrastructure according to CRA’s design specifications. the smart highway program will be implemented on more than 2,500 kilometers of roads and highways.